There’s a reason Florida is dubbed the “Sunshine State”. Beaches in Florida are what often come to mind when one thinks of a beach holiday in the U.S. Florida is a favourite winter getaway destination. Florida is the southernmost state in the continental U.S. and temperatures are hot and balmy. Swimming at beaches in Florida is possible year round. Summer temperatures reach into the 30°C range and trips to the beach become a necessity. Florida borders both the Atlantic Ocean and the Gulf of Mexico. 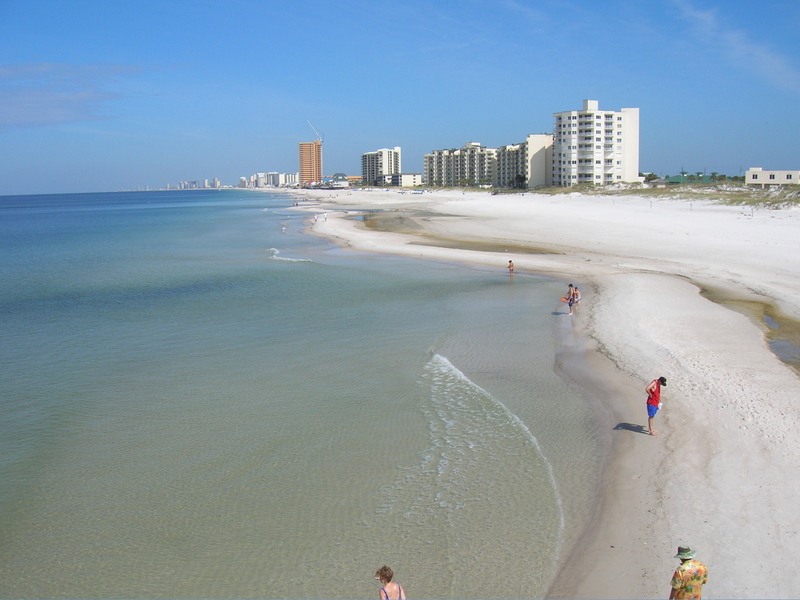 Beaches in and near the Gulf of Mexico usually have white sand and calm waves. Beaches along the Atlantic Ocean have golden sand, and waters tend to be a bit rougher – perfect for surfing, but often also calm enough for swimming. The Florida Keys, which are a string of islands along Florida’s southern tip, have waters that are great for scuba diving and snorkeling. The beaches in Key West aren’t generally sandy, but they are more secluded, providing a quieter getaway than the mainland beaches. As temperatures warm up throughout the summer months, almost everyone will find a beach in Florida comfortable for a longer swim. The Gulf of Mexico’s waters are generally warmer than the Atlantic. Florida’s beaches are well known by travellers. On the Atlantic coast, Miami Beach is perhaps the most famous and has ample sandy beaches. Consistently warm weather and plenty of activities in town make this one of the most popular, and therefore crowded, beaches. Anyone looking for a quieter retreat will enjoy Fort Lauderdale, which offers similar beaches with warm, clean waters. For those looking for warmer Gulf waters, Tampa Bay averages 361 days of sunshine each year which is perfect for enjoying its calm waters and white sandy beaches.